Last Sunday morning I finally pulled myself together and walked the last kilometres up Forsnesvatnet so that could publish this post. Beautiful morning.-3 *C, sun, snow, coffee in the thermos and not a soul outside. In other words: a perfect day for contemplation. Tøttadalen (the Tøttavally) is a very popular hiking and recreational area in Narvik. There are many trails leading into the vally (which isn’t really a vally…). 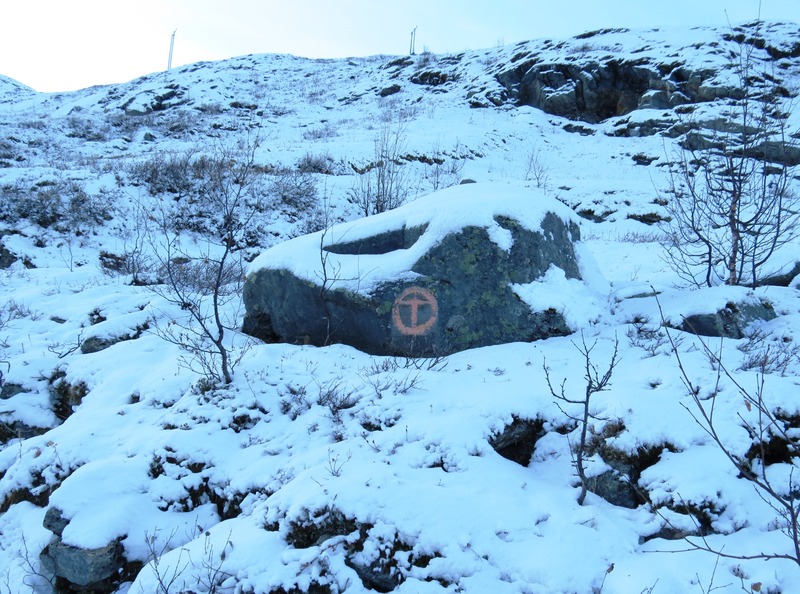 Tøttadalen do not only offer nice trails for all ages, but also shelters, viewpoints, fishing waters, a day cabin (Funnhytta) and fireplaces with benches and tables. There are some signage showing you directions of where to go and how to get there, however, there are also a lot of unmarked trails which leads you across the area. 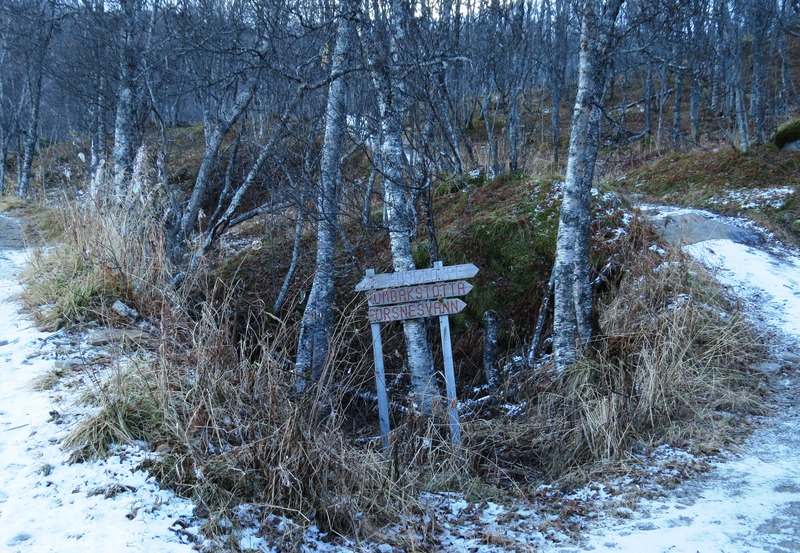 The most common entrance point is from the small power station located next to Taraldsviksfossen at the top of Reinveien. Follow Mårveien for about 300 meters and then continue to the left onto Reinveien. Follow Reinveien for about 900meters until you reach top of the road. On your right you will pass Kobberstadsløypa, the cross-country arena. The road ends at the power station and you are able to park your car here if you are driving. From the parking lot you will have a great view over Narvik. The gravel road continuing after the bridge which is crossing the stream is your way into the Tøttadalen and on you right hand side there will be a big map, showing the whole area and trails (both in Norwegian and English). Brown Star: Førstevannet: shelters, fireplace. It is also allowed to go fishing in the small lake. 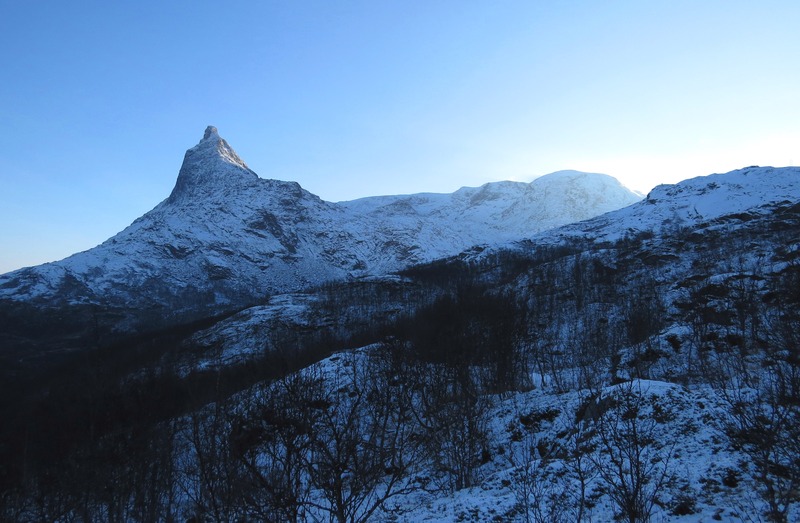 Blue Star: Taraldsvikfjellet: offers you a nice view over Narvik. 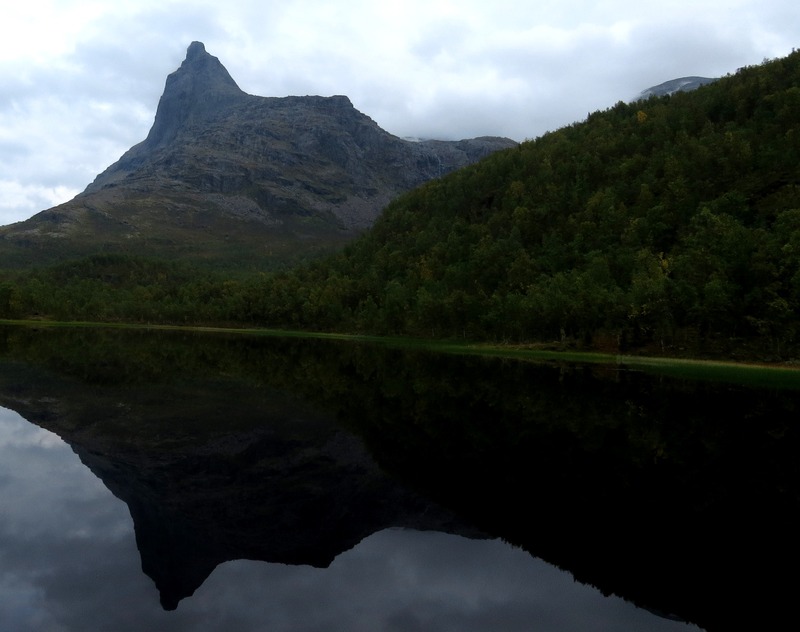 There are several trails leading up there, one which is unmarked and starts from behind Førstevannet. Another trail is to be found on your right when walking the big gravel trail leading to Førstevannet. When you have almost reached the top (the trail is covered by big stones) there are an orange arrow to you right. Follow the orange markings and you will be at the top after approximately 20 minutes. Orange arrow, directing you to the right, after a while you will cross over a small ditch before continuining on a smaller trail. Orange Star: Funnhytta. Follow the trail towards Pumpvatnet. About 1.4 km after Førstevannet you will come to a trail cross. You can decide to continue straight on to Pumpvatnet, or take to the right onto the trail heading uphill towards Rombakstøtta. If taking to the right: after some 100 meters here will be another trail crossing, one well used trail that continues under the power wire, and a smaller trail on your left which continues downhill. 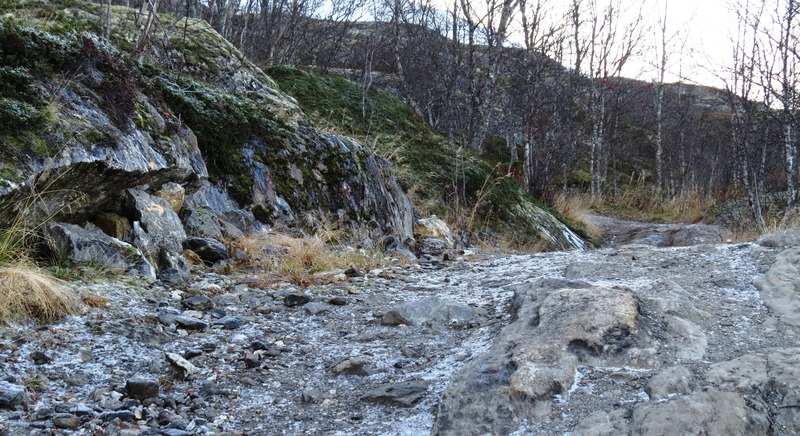 The left trail leads to Pumpvatnet. Purple Star: The foot of Rombakstøtta. From Pumpvatnet and Funnhytta the trail continues to the foot of Rombakstøtta. Occasionally the trail can be a bit hard to find, but most of it is well used. The trail is relatively easy, with some small elevations. It is a nice hike, which will probably take around 2-3 hours one way. Black Star: Forsnesvannet (the Forsneslake) . 1.4km after passing Førstevannet you will come to a trail cross, take the trail to the right which is heading uphill (there is a broken sign saying Forsnesvannet and Rombakstøtta. Keep to the right until you cross under the power wire. From here, the trail is well used and you should be able to find your way up up Forsnesvannet. The trail is marked by red T´s and circles. It is a really nice walk which takes about 1.5-2 ours from the parking-lot at the power station.